Kris Reid, CEO of Ardor Media Factory, speaks exclusively with James Lynch, owner of bigvaluebigbusiness.com, about how his SEO company took off, advice for potential SEO businesses and how Ardor Media Factory became such a success. 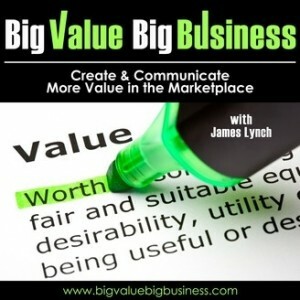 James: All right welcome back my friends to yet another edition of the Big Value, Big Business podcast, I am your host James Lynch. I am really, big, big, big-time super excited about my very special guest today. His name is Kris Reid. Kris is the founder of the ArdorMediaFactory, that’s ArdorMediaFactory.com, the premier content marketing company based in Davao City, Philippines offering businesses worldwide exceptional content marketing and search engine optimization services. It is my pleasure to welcome Kris to the Big Value, Big Business podcast today. Hello Kris! How are you today sir? Kris: I’m fantastic, James. Thank you very much for having me. James: The pleasure is mine sir and I thank you. ArdorMediaFactory, that is your new baby eh? Kris: It sure is, we’re just launching as we speak. James: That’s awesome. And I did a little research on Ardor, I knew that the term sounded familiar but a short definition would be passion, fervor, zeal, intensity, verve, fire, emotion! Does that represent the ArdorMediaFactory? Kris: That’s actually what we’re trying to portray. It’s the sort of content that we try and put forward for our customers. James: I love it, I love it. Hey well again I want to thank you for coming out and we’re really looking forward to having you share with us just how we can best use content marketing to our advantage and to promote our businesses online and develop at the same time favorable search engine rankings in the process. Does that sound like a plan? Kris: Yeah, sure. Fire away! James: All right, so let’s start with a little history about you and your company and just maybe get to know you a little bit like where you came from, a little bit about the journey that brought you here to where you are today. Kris: Yeah well starting back at the beginning, I’m a country boy from a little town just south of Brisbane in Australia. I studied software engineering in Australia and pretty much as soon as I finished my studies, I moved to London and I might have embellished on my CV a little bit as a junior software developer. But it worked out pretty well, I got some nice contracts working for some rather large financial institutions like Visa Europe and Euroclear. Ended up staying there for a bunch of years until the financial crisis hit and I kind of quit—got pushed out of my job and went back to the other side of the world. But, I’m a software engineer at heart and I do love building software and during my travels, I started macking around building an online game. And as the game came close to complete, I realized that I better work out how to promote it and get people to come and play it. So I started reading and learning a lot about SEO and then I figured out that SEO’s a pretty decent way to make some money. So I ended up focused on that and I actually used it to finance my travels for the next couple years as I vagabonded around the world. But I eventually needed to set up an office to keep up with building my company and I really had a lot of online staff in the Philippines. So I figured yeah that’s the best place to go and here I am now. James: Cool, yeah I was going to ask you, I see you’ve been all over Europe and Russia, Asia, Australia, New Zealand, you’ve even come visit us over here in North America. But, I wondered why you chose the Philippines. Did you have a staff there to begin with? Kris: Yeah I mean I really had two main staff working for me for two or three years. And so I really trusted their opinion and both of them said Davao is the best place to go. I’d never been to the Philippines before. And I came straight here with a young family and I saw it’s a nice town, it’s quiet, it’s safe, it’s got beautiful beaches, it’s got no pollution, decent schools. Me and my wife loved it straight away so I set up shop and it was only after I’d already got a house here that I realized that they weren’t actually in Davao. Kris: My two online staff, they were my managers. They lived up north further but yeah now they work at my office. James: That’s funny, “Don’t live here, live over there.” NO that’s cool, that’s a great story. Awesome. So listen so it’s been a twisty windy road for you and obviously you feel like you’ve landed with your new company. And so along the way—you’re getting off the ground now—but you know as an entrepreneur and just coming up, how about any of the biggest challenges or maybe one of the biggest challenges that you’ve had coming up that you’ve had to face and overcome? Kris: I mean it certainly has not been an easy ride. It’s been a whole lot of work and ups and downs and you’ve think you’ve gone great and you know something else comes and clobbers you. So it’s hard to stay on top of everything. The one thing that I really have learnt is that you need to trust in your people. You know like you can’t do everything, you need to hire good staff, you need to train them, you need to invest in them and you need to give them ownership. So you know they need to control the projects they’re working on and be their own boss really. You can’t do every job in your company so you need to trust in your team. James: Yeah that’s very well said. That’s true and I find some of the most successful entrepreneurs that I speak to, do know when to delegate. And there is a rule, when you want to move things forward I mean 80% of time has got to be creating and promoting your business where the other 20% is administration and the back end stuff that we can easily, if we organize, we can easily find and delegate and find the right people to do it, and to quote you, and to trust them to do it. That’s very, very important. Awesome, awesome. I love it. Kris: I mean there’s a saying that I’ve heard to work on your business or to work in your business and you know it’s hard to know the balance. Kris: Well it’s kind of funny cause about this time last year, about June, things were kind of getting pretty rocky and I was feeling pretty unsure about how things were. And then we just have explosive growth. Like in June, I think we had four staff in the office and around three times that working online. But by December, we’d outgrown that office, moved to bigger location, had more than 20 staff in the office and I can’t even tell you how many online cause I have managers that deal with that. It was a really great end to last year and yeah it’s felt fantastic. Kris: Yeah well you can really feel secure that it’s not going anywhere. I’ve got a young family that I have to provide for and people count on me. It’s nice to know that you can pay them at the end of the month. James: That’s cool, cool. Yeah, so tell me about a day in the life at the ArdorMediaFactory. What do you guys do like putting it all together from acquiring a customer to nurturing them through their needs and designing their content, flow, and how it ties into the SEO. Just run us through a day in life. Kris: Well I mean it can be very different depending on the customer you get. We had a brand new customer join today and he was a referral from another customer. I gave him a call, he’s a tradesman in Sydney, Australia and he already knew quite a lot about SEO and backlinks. He’d already worked with some other companies and he wasn’t happy with the results. So I signed him up, he knew how to do everything himself. He knew what keywords he wanted to target so in the system it went and you know job done. Other people, they don’t know where their website ranks, they don’t know what their customers are really searching for to get them. I mean I don’t know really why they have a website to start with. But every business solves a problem so we try and work out what the problem is they’re searching for and how we can put their website in front of their customers. And so they’re the customers we have to nurture a lot more and I mean it’s part of the job, I quite like the customer direction. James: Yeah so it goes from one end to the other. You have someone, like the first, that would know where he’s going, knows the keywords he wants to go for, and has a straight line to where his business goals are. And then you have the others where you have to kind of nurture and consult and kind of point them in the right direction. So that’s cool. Kris: Yeah certainly you know cause it’s their business. Sometimes they’ll even ask me which keyword’s better and at the end of the day, I don’t know I don’t sell their product. You might have one keyword that has a thousand people searching it but you might have one keyword that has 10 people but they’re the people that will buy your product. Each business is different you know and so you really need to know your customers and what they’re searching for to find your best products and your best sellers. James: Absolutely and let’s just take that concept for a minute and just expand that a little bit caused I’d like to ask with the entrepreneurs and especially the professionals like you—like you’re in the content marketing world. So a lot of my listeners they’re consultants, they’re small business owners, kind of help us out to maybe step back, take a look at our business and see how we can better serve our content needs and our search engine optimization. If you were to tell our listeners like one tip or trick or best practice, what would that be? Kris: Well one thing that I recommend is that people add to their website constantly. I mean you don’t have to be doing it daily but at least once a month. Make a little blog post about what your company’s been up to. If you’ve got any new products or services, write something interesting about your theme. Keep it fresh, keep your website dynamic you know? Not every business—okay if you’re a concrete cleaner you might not be that interesting, people don’t want to follow you on Facebook. But you can still update—what’s the latest jobs you’ve been working on? Show more examples of you know here’s the last job we did and here’s a testimonial by that customer. Build your website and build your brand and let people know you. James: Yeah and how does that benefit us as far as I mean goes Google see, or the search engines in general, do they see that dynamic content creation? Do they see that as positive and favor you in the rankings? Kris: Yeah they certainly see the websites that are dynamic that are added to—well they get looked at more often. Google has a spider that scurries around the Internet and reads every page. It goes to websites that update themselves more often. If it goes to your website and you haven’t changed since the last time it was here, it won’t come back for a lot longer because it thinks that nothing’s going to change again. So yeah it does help your rankings in the search engine but adding content is also good for your customers too. Like you know if there’s a reason for me to come back to your website and I can see something new, I can learn something about you. And essentially it builds out your website and makes it bigger. I mean if you’re a new company you’re only going to have a few pages of a little bit of content. But if you just add one page every month you know what’s the latest job you’ve been working on. Eventually you’ll have a big website with heaps of content and people can really know about your business. James: Yeah it’s kind of like building your platform out and growing and giving them eventually something to look at and spend time on. James: Yeah cool, cool. So let’s talk about Kris Reid for a minute. You mentioned you have a small family. I’d like to get into the heads of a lot of the entrepreneurs I speak to and kind of find out what makes them tick and how they came upon realizing they had the entrepreneurial spirit and what drives you, what keeps you going, any productivity or any kind of hacks that you have that keep you moving in the right direction. So what drives you as a businessman, Kris? Kris: Oh that’s a tough question, essentially I want to provide the best life I can for my family but that’s not really it. I’m a software engineer, I love building software and a big part of what we do is software. We have software managing all of our content and with building more and more to try and measure our results. You know I like the ownership of having my own business, having a freedom to do what I want to do. Like I got a small software team now, we’ll have meetings of just ideas and whatnot and you know I get to pick which direction the company goes cause it’s my company and that’s a great feeling. You know they’re smart guys so I like to take into consideration what they have to say but I like to sort of do what I want to do. It’s fun and I work a bunch of hours a week you know, sometimes I have trouble sleeping at night because I’d rather be jumping up and working. I work too much on the weekends, I really need to spend time with my family. James: Yeah, that’s a good and a bad problem. It keeps us moving as entrepreneurs and keeps us growing our business but if your wife’s anything like mine she’s probably wondering why I’m up at five in the morning right now instead of in bed. But she doesn’t understand that I’m talking to somebody 12 hours away in a different time zone! Yeah we do jump out of bed especially when we have that big idea so yeah that’s awesome. That’s awesome. It’s good to hear that you’re growing not only a content marketing team but you’re also have a good little software team growing there which is kind of where you got your start. So you’re staying with your roots and expanding on that. Kris: Yeah for sure and you know that’s what I’m good at. All of the marketing and promotional stuff like I’m learning that and it’s fun too but I’m a software engineer and I creep back into my little dark cave every now and then and really that’s what I enjoy doing the most. James: Yeah totally understood, totally understood. So listen so tell us what you have going on with the company. This is basically where I would ask you to promote your business, what you do, what you can do for our folks, where they can find you be it your website and the social media platforms, the easiest way to get in touch with you. What do you got going on? Kris: Yeah well at the moment, as you mentioned before, we’re launching [15:13] and one of the cornerstones we’ve put out there is a free [15:18] SEO called the ultimate SEO cheat sheet. We deal with so many different websites and sometimes it astounds me just how terrible their on-page SEO is. It’s generally really simple things that people don’t even have that much technological knowledge can fix themselves. So we’ve got a complete, free, ultimate SEO cheat sheet available at our website which is ArdorMediaFactory.com. Just go to the website, you’ll see at the top just click on the button and download it now. James: Cool, cool. Yeah I see that, I’m heading over there myself because I need a little bit of SEO love on Big ValueBig Business.com. Awesome, awesome. So any other parting shots you have for us? I’d like to just kind of get maybe any inspirations you have or what’s on the bookshelf or do you belong to any mastermind groups? Where do you get your online marketing info, your motivation business, and motivation know-how? Kris: Unfortunately, being in Davao it’s pretty isolated. There’s not too many expats down here so I don’t really get too many masterminds or anything like that. But I certainly read a lot. You know I’m reading Seth Godin at the moment, he’s a fabulous man, giant brain. I’ve really loved his last book, Poke the Box, it’s essentially about trying new things, poking the box, seeing what’s going to happen. Don’t be afraid of failure or rejection you know it’s poking that box and seeing what it’s going to do that teaches you. So even if it doesn’t get you a great result, just don’t stop. And one thing he recommends in the book is you should pass it around so I ended up buying a couple of copies for every one of my staff. I really highly recommend reading it. James: Yeah I love Seth Godin, I actually subscribe to his blog. He’s one of the guys that’s in my inbox every morning right about 6:30 in the morning. Yeah he’s totally awesome. Kris: Yeah, for sure, for sure. Giant brain. James: Yeah, all right good stuff. Well listen I appreciate you coming on today. I know it’s evening over there, it’s early morning here but we managed to get this thing together. It’s been a real pleasure talking to you and one more time give us that website URL and maybe Twitter or Facebook handle that we can find you. Kris: It’s Ardor—A-R-D-O-R—ArdorMediaFactory.com and the same for our Facebook. James: Awesome, awesome. Well listen Kris you have yourself a great rest of the day and I look forward to talking to you maybe checking in and seeing how the business is going in short time. So you take care and we’ll talk to you again? Kris: Thanks very much James, talk to you soon. James: You’re welcome sir. Bye-bye now. How Ardor Media Factory began in a podcast with Kris Reid & James Lynch.